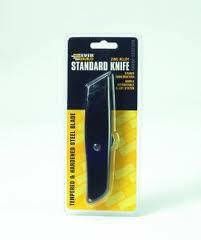 Builders Brand Standard Knife. Sturdy zinc alloy construction with simple retractable blade system. Includes 1 HCS blade.